Happy Poetry Friday! Before you start getting all woo-woo superstitious about Friday the 13th, it is always a lucky day at our house. My son's birthday is 2/13, which occasionally falls on a Friday. We enjoy laughing at all the self-imposed-black-cloud people out there, and then we eat a cupcake. 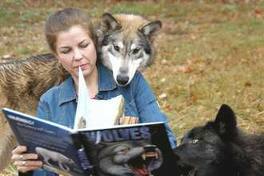 Poet, children's author and Poetry Friday blogger Robyn Hood Black of Read, Write, Howl is here today. She calls her writing habit "haiku mind." I love the idea of practicing haiku form as a way to clear out mental cobwebs (and self-imposed black clouds). Here is Robyn: Thank you for having me, Laura! Let’s see – At 4:15 a.m., I check on the organic pecan halves soaking for my green tea…. Not really. After the house empties of other humans in the morning, I do like to settle down and read with some coffee and my old hound dog before heading into my office to write. The best habit I’ve developed over the last couple of years is really a new approach to writing – and daily life – by becoming a student of haiku. I came in through a side gate as a children’s author, discovering an online magazine Gisele LeBlanc had at the time featuring haiku for kids – and also stumbling into Diane Mayr’s multiple hats as a published haiku/ haiga poet, children’s author, and librarian (does that woman sleep?!). Gisele’s Berry Blue Haiku is now a blog/journal featuring haiku for a general audience, and I’m delighted to be her assistant editor. Traditionally, a haiku is a short poem, often three lines in English, capturing a moment – juxtaposing two images in nature and leaving room for the reader to participate. (Haiku does not lend itself to being precisely defined, so there are exceptions and differences of opinion all around!) I love poring through poems written hundreds of years ago as well as those in current journals. If I’m relaxed and in a “haiku mind,” I do notice more – the sound of a bird’s chirp or the shape of its shadow, and then I’ll consider whether that experience connects to some human experience I’m dancing through that day. Trying to craft a poem from such observation requires an economy of language (and often several revisions) that improves my writing in general. And probably my thinking. 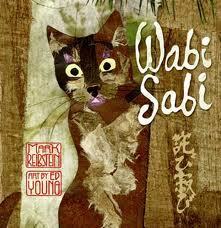 Haiku can be profound and yet so deceptively simple – like fine children’s books, which is why I love both. My haiku was in A Hundred Gourds and will soon appear in Acorn, Chrysanthemum, and Prune Juice. I’m new on the journey with much to learn, but I appreciate each step. This week's Poetry Friday host is Anastasia Suen. Thanks for gathering us all together today, Anastasia. Tomorrow is Saturday -- "famous" poet day. We'll check out Kay Ryan's advice on reading as a habit for writers. Robyn, congratulations on your poetry publications. Competition is so fierce! I especiallly love your cold front and cicada song haiku. Beautiful! I'm enjoying writing a haiku every day this month, though I'm doing it fast and without nearly the thoughtfulness you put into it! Thanks, Laura and Robyn! Lovelly start to my Friday! Hi, Laura. I just got Won Ton but have not read it yet. Robyn's post made me reflect on the importance of clearing the mind for writing. Haiku are so concentrated -- room for only one or two images. The practice relates back to Diane Mayr's post on "tubular vision" -- focusing on the details rather tackling the big picture. Congratulations on the publications! It's a credit to your enthusiasm and skill! If I don't write first thing in the morning while my mind is clear, I struggle to get into writing mode. Sometimes I just journal or sketch for a page or two to clear my head but you've inspired me to try something different -- next time I may try writing a haiku. Katya, I'm like you. As soon as the children have left for school, I set aside time for writing. I'm a morning person. Oh, I love Robyn's idea, too, of clearing her mind with haiku. Sadly, I blah-blah way too much to actually write haiku, but I appreciate the form--and loved the spanish moss haiku. Thank you all for these heartening comments! Laura, yep - I think I own every haiku collection for kids out there. Won ton is irresistable, and I love Black Swan, White Crow. Another great collection I've found used online is William J. Higginson's WIND IN THE LONG GRASS (1991). Diane - thank you. Of course you know I think you rock. Katya - your creativity shines through your blog; you might really enjoy trying this! It does make one slow down and focus attention, and then a gift of an idea often appears. Not me, but perhaps I should try the morning. I usually just enjoy reading all of you in the am, & I settle into writing mode in the evening. But I have no children at home anymore, so that helps. I love the sky haiku Robyn. Sadly, it reminded me of those days after 911 when our skies were so empty. But I still love it. Congratulations on your publishing. What a validation after your hard work! Congratulations to Robyn on the publications! Love the haiku she shared today. "spanish moss dipped in sunlight" = gorgeous. Thanks for sharing Robyn's journey with us, Laura! "Haiku mind" is a great concept that I hope will stick with me. Some nice news, all. A friend of mine is involved with Haiku Society of America. They are linking to Robyn's "haiku mind" post today! You all are making my day - thanks! Linda, the sky poem was written that week of the 10th anniversary of 9/11. I was surprised at how hard that hit me. Sometimes very strong emotion can fuel this spare form. 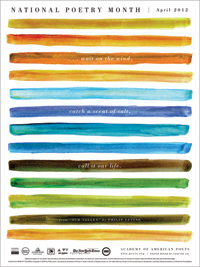 There's a wonderful book by Patricia Donegan called HAIKU MIND - 108 Ways to Cultivate Awareness and Open Your Heart. Very easy to read one poem a day(she's chosen the best from the past and present), with a page or two of her commentary to ponder. Congratulations Robin! You are inspiring me to get back to work. I have fallen out of the haiku habit. Now's a good time to get back to it! Love your haiku here, especially the "empty sky". Congratulations Robyn! I struggle with haiku...and with writing in the morning...and when I see haiku as perfect as the ones you shared, I think I'll never be brave enough to attempt another again! I have had long conversations with my friend, haiku poet Tim Singleton, about a perception of cliquishness in the haiku world. Robyn, it's wonderful to see you finding success in different genres of writing. Why limit ourselves to one style or audience? I enjoyed reading this! I've been having lots of fun with haiku lately, too. Most of it's no good at all, but I love the frame of mind it puts me in when I'm capturing moments that way. "Haiku mind" is a great phrase. Andi, I think there was operator-error (as in, mine) in a comment I tried to enter responding to you - thanks for stopping in and for the kind words, and DO give it a go again! Hi Laura, thank you for featuring such a beautiful woman today, Robyn Hood Black's radiance simply shines through. Congratulations dearest Robyn for all these publications! That deserves a glass of wine (or two). It's fascinating to think that there's a "haiku world" with a cliquish feeling! I'm sure that Robyn will worm her way in gracefully and then make room for all of us who aspire both to "haiku mind" and to tasting of multiple poetry pies. 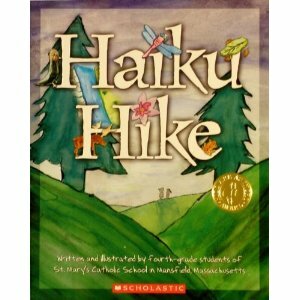 I really appreciated all the suggestions of haiku collections for children and the Haiku Mind book. Is there a place where these are all collected together that you haiku experts can point me? Great to hear Robyn's morning routine and that she is a "student of haiku." A haiku state of mind seems like a good one to cherish, one of clarity. Loved this interview, thanks. Myra, Heidi and Betsy - thank you for these humbling comments! I love this Poetry Friday community. Heidi, I have a HAIKU page on my website with lists of books and resources you can download - books for classroom and kids as well as for writers. I love hearing about the perseverance and study that lead to your success!! Thanks, Mary Lee! 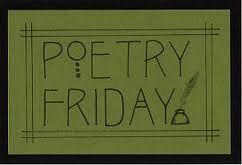 And thanks as always for herding all these Poetry Friday blogs.